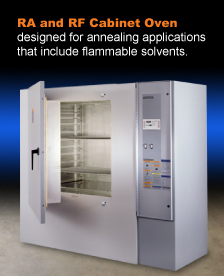 Minneapolis, Minnesota, USA, March 20, 2018 – ITW EAE, a division of Illinois Tool Works announces that it is reducing lead time on Despatch PBC Burn-in Ovens to six weeks. This was accomplished by optimizing its manufacturing processes to allow for in-lining of production equipment and assembly stations that improve flow and minimize production time. 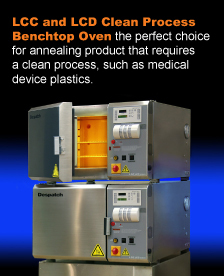 The PBC was also redesigned to simplify the manufacturing process while improving product performance. 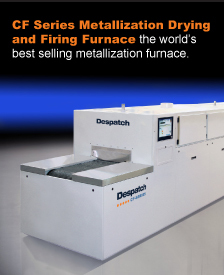 Despatch burn-in ovens are engineered specifically for applications such as high dissipation forward bias, high-temperature reverse bias, dynamic and static burn-in of IC, RAM, ROM, microprocessors and other semiconductor devices. High volume recirculating fans maintain consistent, uniform temperatures required by MIL STD 883D while removing heat generated by the load. 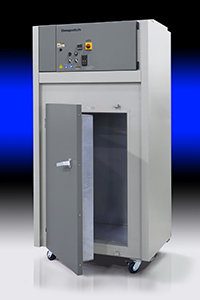 The PBC burn-in oven allows for traditional horizontal loading with side-to-side horizontal airflow providing exceptional temperature uniform across the load.